What’s the average price of a home? 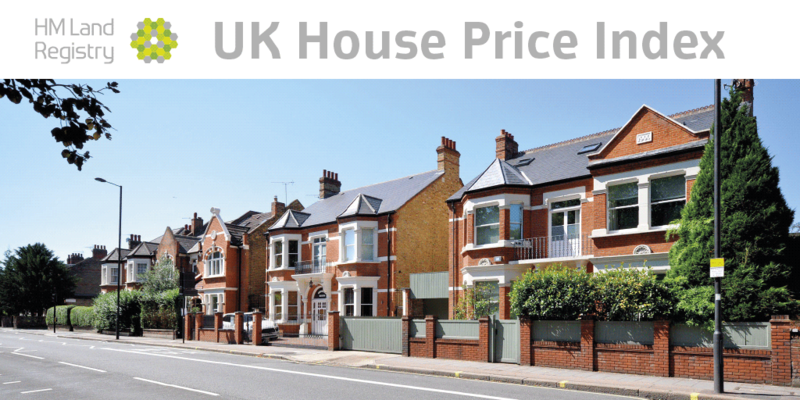 To answer this we can look to the UK House Price Index (UK HPI) while bearing in mind that the estimate for the average price can change from month to month or even in the same month. We call these changes revisions. Revisions themselves are common in statistics, but what’s causing them in the UK HPI? Revisions to the UK HPI are generally caused when we add more data to our estimates. While the UK HPI includes all properties purchased (around 100,000 transactions a month), in our provisional or first estimate for a month, we don’t always have all the data. It usually takes between two weeks and two months for a sold property to be registered while new builds can take a little longer. This means that when the UK HPI is first published it is based on approximately 40% of the transactions ultimately submitted. As more data is registered our estimates are updated to reflect this change. You can find more information on this in the revisions section of About the UK HPI. Some changes to our estimates are normal due to how the data is processed. However, a few people have questioned the size of some of these revisions, particularly those towards the end of 2016. Our investigations show that the large revisions were mainly being driven by the provisional estimate for ‘new builds’ being too high. Transactions involving the creation of a new register, such as new builds, are more complex and need more time to process. This means they can take longer to appear in HM Land Registry’s register. An increase in demand for HM Land Registry services has created a backlog of applications to process. New title applications such as first registrations and new leases need more work and involve more stages. This has resulted in the number of new build transactions reported in the first UK HPI estimate being too small to provide reliable results for the provisional monthly estimates for this breakdown. HM Land Registry is working to complete all new title applications within 25 working days by March 2018. We are amending our model for the provisional estimate. We use lots of different property characteristics (such as the number of rooms) in our model to estimate average house prices in the UK HPI. From 12 December 2017, we won’t use the variable which tells us if the property is a new or existing property for our provisional estimates, as there aren’t enough new build transactions to give us meaningful results. This only affects the provisional estimate; other period figures are unaffected. From December 2017, we will not publish the new build/existing property breakdown for the two most recent months. This means that when we publish October estimates in December, the earliest new build/existing property breakdown will be for August. This is because there aren’t currently enough new build transactions to give a meaningful result. We understand that through this change users of the UK HPI will be losing some detail in the data they have previously received. But based on tests we’ve done, our provisional estimates should now be more accurate and subsequently change less often. We continue to seek your input on how we can develop the UK HPI further. Through our LinkedIn UK HPI group we are working with users, stakeholders and our partners to enhance the information and data supplied to ensure the index continues to offer maximum public value. If you would like to share your feedback on the UK HPI, you can register your interest to join the UK HPI group or contact us for more information.